Edelbrock Victor Glidden SC-1 Intake Manifolds are from Billy Glidden's race program and are intended for Ford SC-1 and Edelbrock Victor Pro-Port cylinder heads, with 400 c.i.+ high-output drag race engines typically using additional power adders. 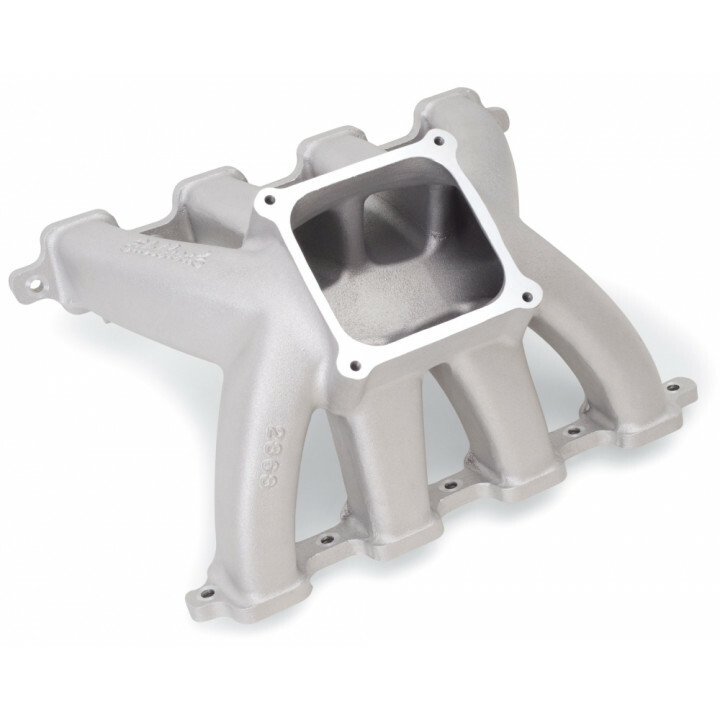 The manifolds' design has been influenced by current trends in Edelbrock's NASCAR manifolds, featuring pulled back runner dividers and shortened end runners to increase plenum size for peak horsepower with a larger carburetor. 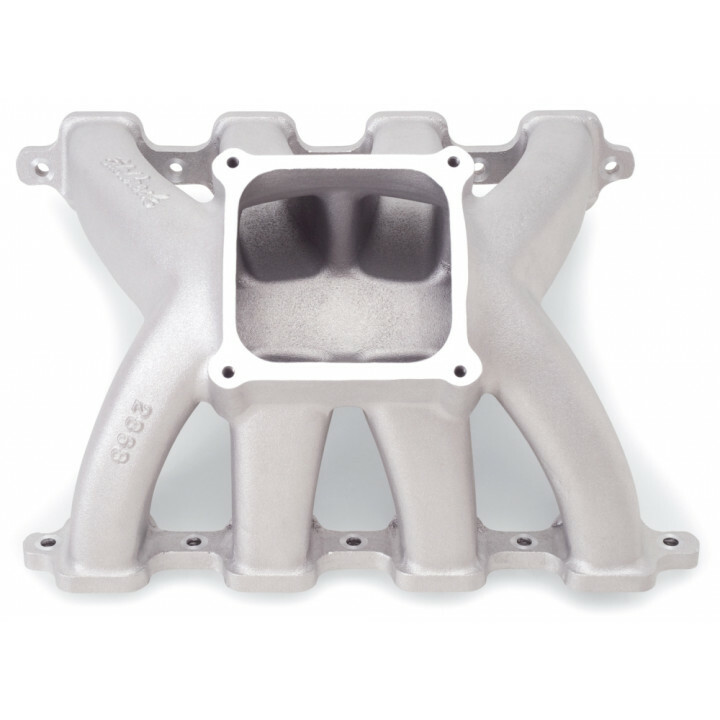 The intake manifolds are ideal for Edelbrock Glidden Victor SC-1 Pro-Port raw heads in drag racing classes without restrictions on heads or carburetor selection. Important Note: Designed for 9.5 in. deck height.